We had a memorable day in Inniskeen on Thursday. A dull morning lifted before noon and the crowds in the graveyard had a wonderful dry experience. Art Agnew asked that the poems from the nine readers would be received in silence in deference to the sacred place where so many people were resting in peace. This added to the dignity of the occasion. 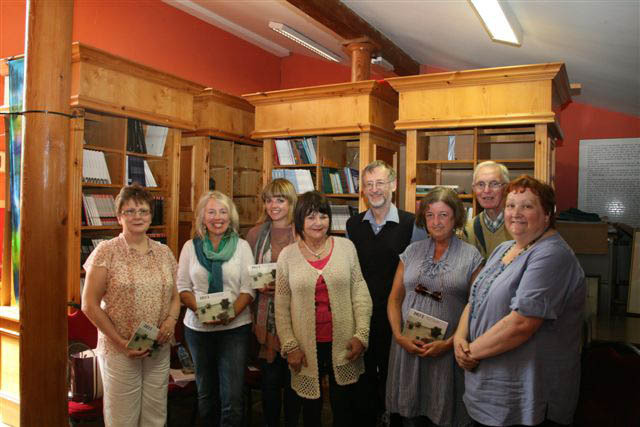 The poets and writers were Tommy and John McArdle, Eugene McCabe, Brian Lynch, Pat McCabe, Caitriona Ni Chleircin, Mary O’Donnell, Evelyn Conlon and Theo Dorgan. Andrew Quinn, nephew of Patrick Kavanagh laid the wreath as Tiarnan O’Duinchinn played the uileann pipes. The crowd of over 400 were slow to leave the graveyard as they shared memories. 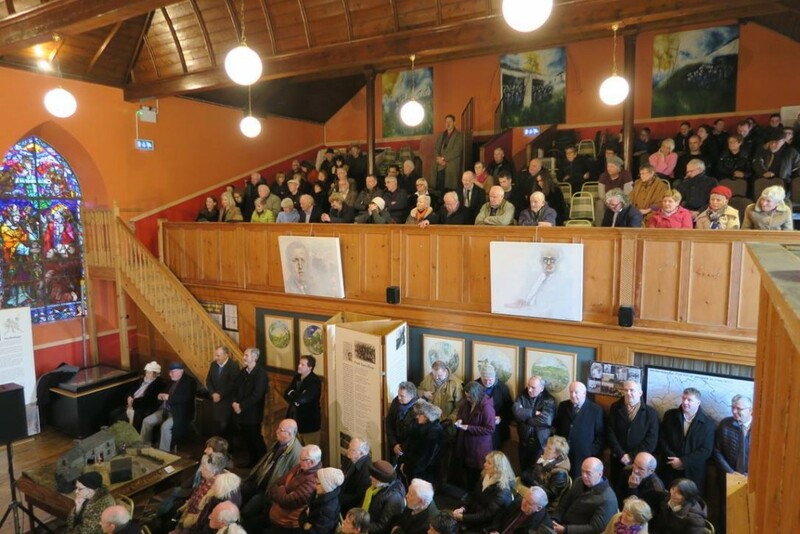 In the Kavanagh Centre, Larry McDermott, Chairman of the Patrick Kavanagh Society welcomed a packed Centre and introduced the speakers. The Minister for Culture, Heritage and the Gaeltacht, Heather Humphreys, T.D., was unavoidably absent because of Government affairs. She phoned the Centre earlier in the morning to send her apology and wished the commemoration a success. She was ably represented by Assistant Secretary from the Department of Arts, Fergal O Coigligh. Cathy Bennett, Chairperson of Monaghan Co. Council and Eamon O’Sullivan, C.E.O Monaghan Co. Council also addressed the gathering as did Fiona Jane Hyslop, Cabinet Secretary for Culture, Tourism and External Affairs in Scotland. The speeches finished with a haunting rendering of ‘Raglan Road’ from Ben Reel. The gathering then moved to the Community Centre where food was laid on by Conlon’s Food Hall. Larry McDermott then formally thanked all those who joined in the commemoration. He thanked Brian Lynch past President of the Kavanagh Society for his work over the years. He then welcomed Oliver Callan, the new President. Members of the wider Kavanagh family who were present included Andrew Quinn, Fr. John Quinn, Maureen and Katherine Lynch, Paddy Quinn, Thomas Quinn and his son from Newbridge, Co. Kildare. 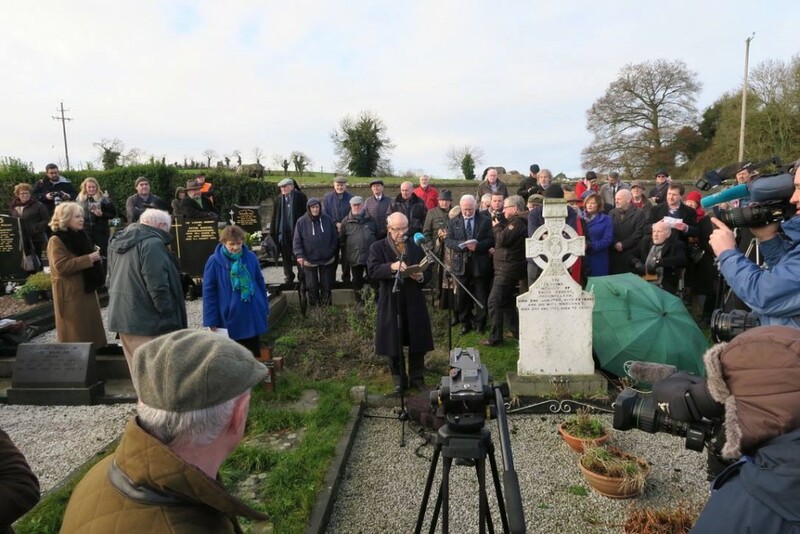 He remembered stalwart members from the past, particularly, Gene Carroll and thanked all those who made the event a success; Rosaleen Kearney, Elmar Marron, Margaret Lynch, Joe Callan and Paddy Dowdall were tireless for the week before hand and on the day. The afternoon in the Community Centre ended with an impromptu concert led by Brian Dooley who was able to call on Pat McGeeney, Tony O’Callaghan and Michael McCluskey. Brian himself, read a poem that Martin Green, the London publisher, wrote for Patrick Kavanagh’s funeral in 1967. Brian also read a tribute poem written by Terence O’Gorman, a great Kavanagh enthusiast, sadly deceased. 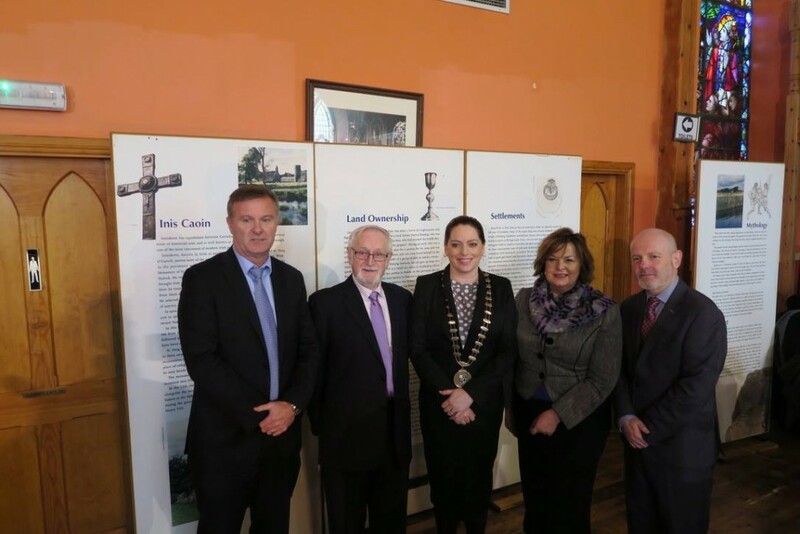 We must mention three members of Monaghan Co. Council in particular who oiled the wheels for the occasion to smoothly run – Somhairle MacConghail, Arts Officer, Dympna Condra, Tourism Officer and Therese McKenna, Arts office.